STEP 3: Customize Your Flickstr Account! The more fascinating videos you have about your product or service, the more your customers will buy. Within seconds if it doesn’t catch their attention or if it’s too long, most will skip and scroll away. With so many distractions in life, instant gratification is a must or your customer is gone. Those old school videos you’re use to watching? They’re getting crushed because they’re not attention-grabbing, focused, short or to the point. Check your stats, you’re getting ignored if you have those. If a picture says a 1,000 words ... imagine what it will say in a video? It’s how you can significantly increase your clicks by 43% just like the big brands. It’s how you can easily INCREASE your sales by 109% for more passive profits. Imagine videos on your site, channel or ad campaign that show off your product and service images to sell more. 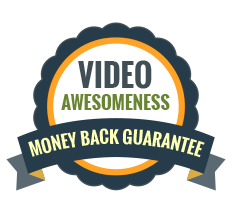 Simple, short, yet, gorgeous videos that drive sales like crazy. 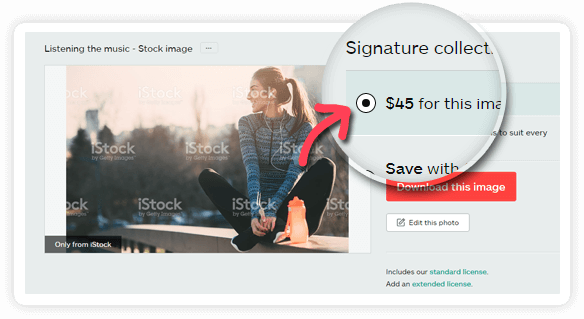 You can force your customers to STOP, click, sign up or buy as your professionalism unfolds in your videos with photo and image combinations. You too can get 110% more engagement, 117% more clicks and 3 times more sales just like the big brands. 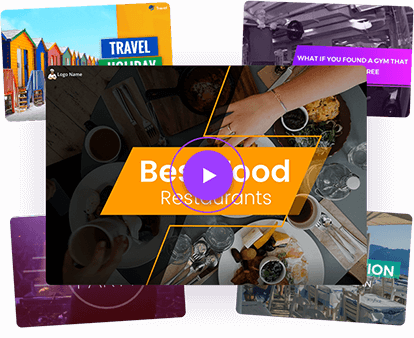 So if a Flickstr video captures attention like never before … imagine the response when it has your product images, ecovers, gifs and a message that REELS your visitors in? You can clip, edit and merge, add MP4 videos … image, photos, captionings and letterboxing. This is exciting and you are the first to see this as a pioneer in your space because NO ONE knows about these mini videos just yet. 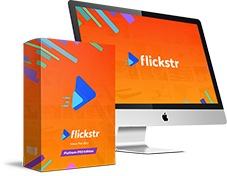 They're compelling and it adds MAGNIFICENCE to your Flickstr videos giving you a brand new way to get even more customers. You can mix videos and images up for another new level of engagement. 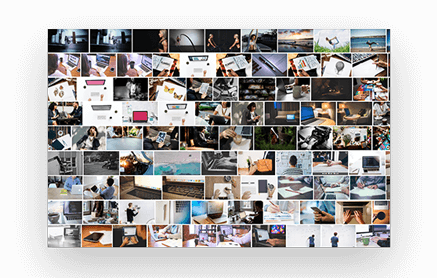 Make videos with your ecovers, logo, product images, photos and transparent images… AND mini-video gifs. your viewer to convince them to come and join. Promote your travel agency in the most sexiest commercial way today. Make it shine and get 5 Star ratings all day long. Lifestyle videos that crushes your competition. First impressions count. Get their heart pumping for success. Look spectacular without feeling ashamed. So imagine your customer attracted MORE, clicking more and ultimately buying more. You now have another way to go extremely viral and have your new min-videos shared like crazy because they’re entertaining and really stand out. It's how you will get MASSIVE likes and shares. 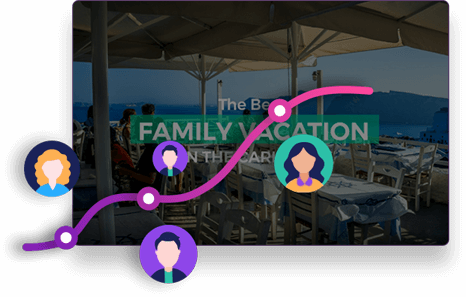 It’s how your visitors will love to click and share your brand aggressively for free so their network of friends get to see them too at ZERO costs to you. Make pretty slideshows of personal highlights or memory videos from your own personal photos and videos. Or even create Powerpoint style presentations where visitors can read the words on screen whilst they watch. Videos autostart without sound on social networks so the words on the screen entices them to click and un-mute the sound. You can convey an emotion, entertain, stand out AND go extremely viral with gif animations. They’re popular for a reason especially on social media. You can now add these to your Flickstrs for another extreme level-up of engagement, moving your visitors faster to checkout. 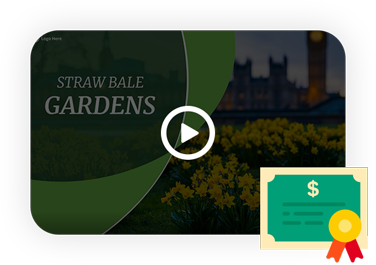 These animated transitions designed to create cool, engaging and fun videos. Take out the old school to give life to your texts that engage attention, making irresistible, kickass videos that shout for attention making it that much more engaging. You get entrance directions, appear modes AND entrance effects. 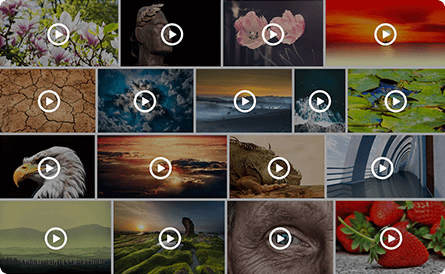 These are very short and fantastic looking image and video clip templates. 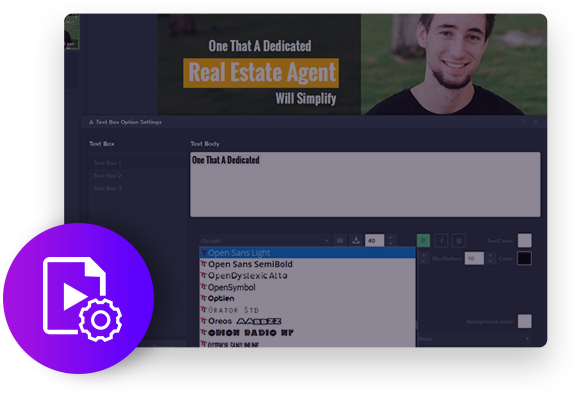 In a flash you can rapidly get new content out into the world without animators, designers, videographers or editors. 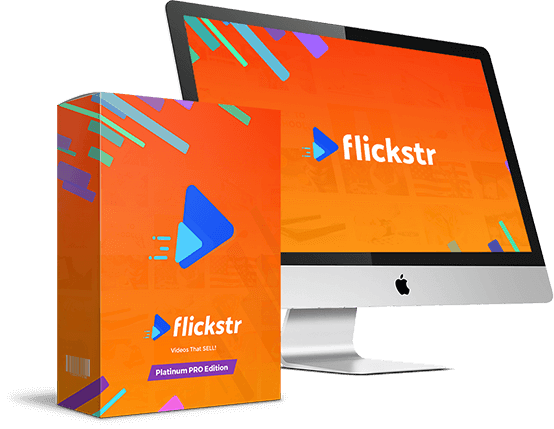 There's no need to outsource either because you can now point and click your way to amazing Platinum standard mini-video Flickstrs that get YOU results. Super duper videos that SHOUTS for attention. They're FUN, engaging and can get you passive income. 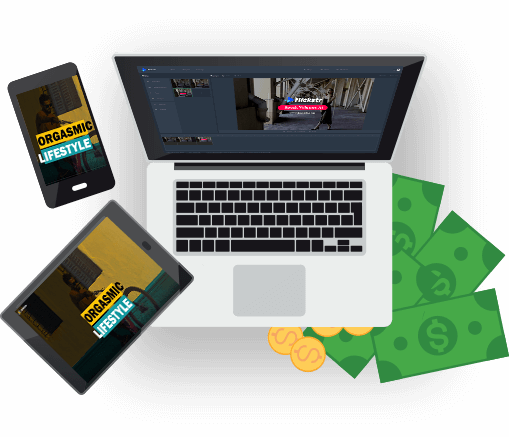 More importantly, you can further MONETIZE these mini-videos by others sharing them to get seen by millions of people on social networks to boost your reach to make you more money. This will skyrocket your income as your mini-videos go extremely viral selling more products for you on autopilot. 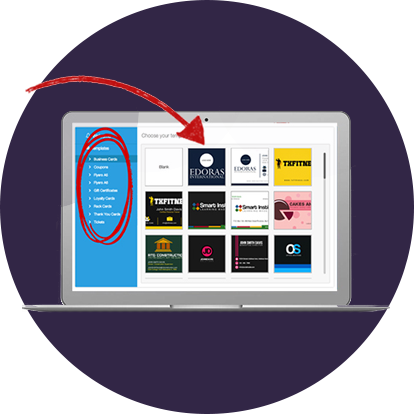 ALL mini-video templates are 100% customizable so you can serve your clients better and tailor videos to their audience. 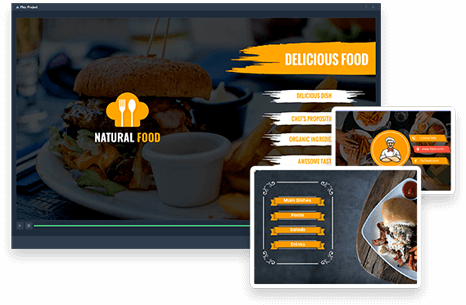 This way, you deliver compellingly professional videos with motion graphics, animation and brilliant visual effects they will be thrilled to pay for over and over again. 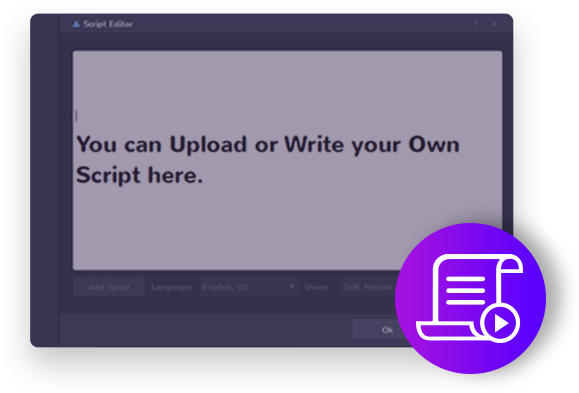 You get high converting mini-video scripts engineered to attract, engage and sell written by professional video screenwriters and copywriters. Full Commercial Broadcasting & AGENCY Selling Rights - Sell to clients for 100% profits so they can advertise and promote their products or services through paid or non-paid marketing channels using your videos. Create flyers, coupons, business cards, certificates, loyalty cards, tickets, thank you cards, get well cards, happy birthday, anniversary cards and much more. Did you know Infographs get 30 times more attention than articles? Yours visitors LOVE following directions with text and illustrations combined and it’s why they get shared and liked 3X more than any other content. It’s one of BEST forms of communication because your visitors will remember 80% of what they see, compared to just 20% of what they read. 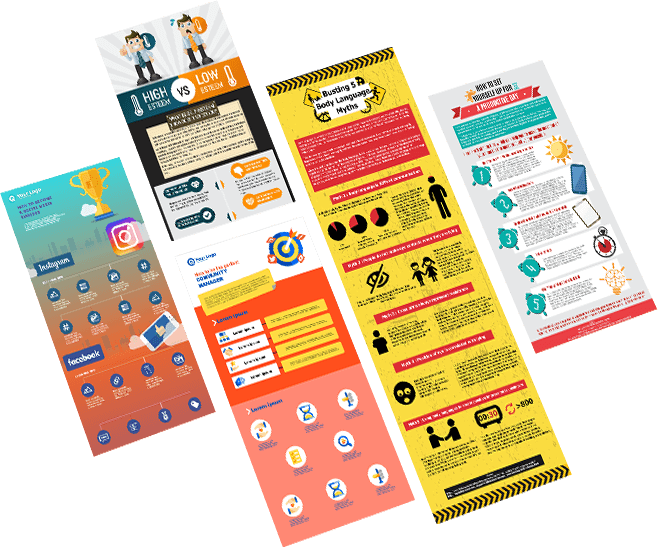 You get 20 editable, infographic templates for your business. 10 Brand NEW video templates delivered every month over the next 2 months. 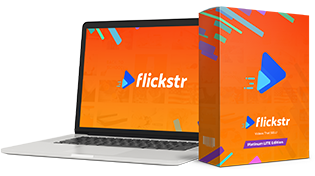 We made Flickstr Platinum Edition amazing so you LOVE it. You are covered by our 30 days money back guarantee. If you face technical issues with our software, let us know and we’ll jump right on it to fix it ASAP. Other general support we thrive on that too as we like to keep you happy and we’re pretty good at that. No Thanks! I'm not interested in getting 1,000 HD videos worth $79,000. I don’t want 20 Brand NEW Video Templates (with another 10 every month for 2 months), the HumanVoice Text 2 Speech technology, 100 COOL transition effects, 100 sound effects, 100 background music loops & tracks. I don’t get 500 fonts, 80 shapes and 100 call to action buttons. Better yet I don’t even want your BONUSES. I don’t want 50 Borders or the 60 Header & Footer For my Flickstr videos. I neither want to get my hands on the 30 animated social lower thirds. I GET what you’re offering but I don’t think paying $49 for over $100,000 value is worth it. I understand I waive my right to get this amazing package for my videos with FULL commercial broadcasting rights. I’m going to CLICK HERE and skip this!